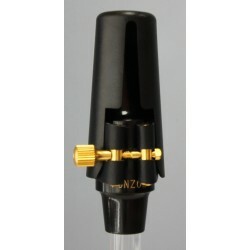 I began refacing mouthpieces in the late 70’s while living in NYC as a jazz and studio musician. I was able to measure hundreds of mouthpieces from well known players and began to see a pattern as to the relationship between chamber design, facing curve and tip opening. The knowledge gained from these many years of experience was extremely important when I began my own mouthpiece production in 1986.